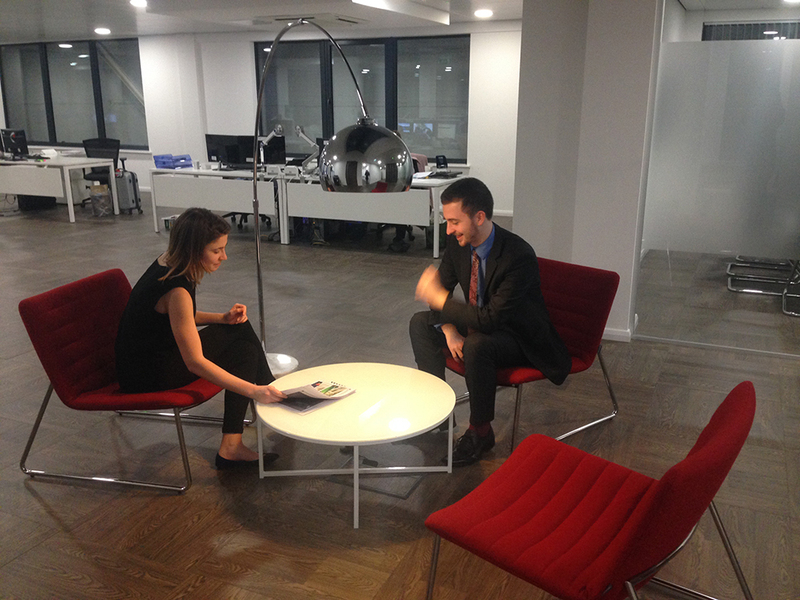 The brand new office which has been designed by in-house interior designer Ilaria Revello last week opened its doors. Located in the heart of central London the office features modern design and many items of bespoke furniture. The company’s brand colours have been used throughout the office which showcases a red reception desk and board room table, and blue has been used within the office space and bathrooms. The board room table, reception desk and bathroom furniture were all designed and produced as bespoke items for the office. Ilaria Revello worked closely with Sara and Kate Pickstock to achieve a look which was fitting for the group. “I tried to create a look which was modern, bright and spacious in design whilst using the brand colours” commented Ilaria. “It was important to create an environment which not only looked appealing but was practical too” Ilaria added. The office space is part of the Gray’s Inn Road development which in addition features 9 apartments. The scheme was constructed by Pickstock Construction and developed by J-Ross Developments, also part of The Pickstock Group.